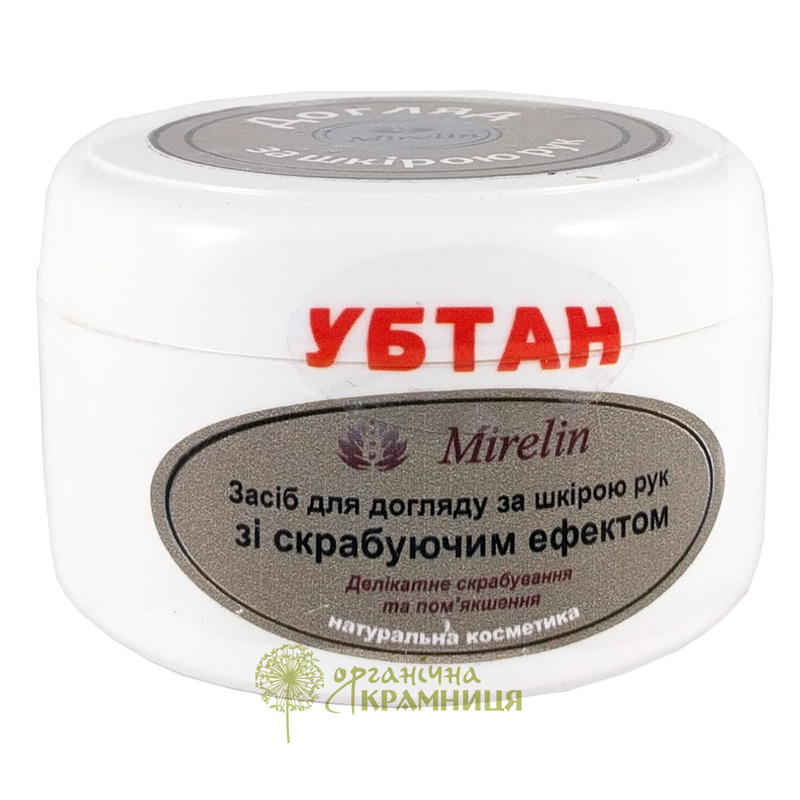 Exfoliating & Softening Ubtan Powder for Hands is produced by Ukrainian beauty brand Mirelin. This is a 100% natural, environmentally friendly cosmetic product for everyday use at home. It is formulated with sprouted grains, pumpkin and sesame oil cake, peppermint powder, sea salt, and ascorbic acid (vitamin C). Ubtan is a traditional Ayurvedic product that has been used for skin and hair care for centuries. Ubtan powder cleanses the skin and makes it smoother, produces a nourishing and moisturising effect, provides the skin with the minerals and vitamins it needs. It also has an exfoliating effect: the powder removes dead skin cells and stimulates skin renewal. Ubtan powder helps to soften and remove rough cuticles, and slows down their growth. Exfoliating particles contained in the product have a massaging effect. They stimulate microcirculation and skin cell metabolism. As a result, regular use of ubtan powder for hands improves skin elasticity and makes your hands soft and well-groomed. Directions. Mix 1 tsp powder with the same amount of water. Apply to the skin of your hands, massage for a couple of minutes, paying special attention to the cuticles. Rinse off with warm water. Ingredients. Sprouted grains (oat, wheat, rye), pumpkin oil cake, sesame oil cake, peppermint powder, vitamin C, sea salt. Want to buy Exfoliating & Softening Ubtan Powder for Hands? Call us or submit your order via our web site! Mirelin is a cosmetic brand known for its 100% natural dry cosmetics. It is owned and produced by Ukrpromkontrakt, a company based in the Ukrainian city of Rivne. Founded in 1997, it began to produce personal care products branded as Mirelin in 2012. All products comply with the State Standard of Ukraine (DSTU 4666:2007) and have all required quality certificates. Mirelin offers a great selection of skin and hair care products, including express face masks in sachets, ubtan powders with an exfoliating effect, scrubs for at-home and professional use, and conditioning hair rinses in sachets. They are suitable for all skin and hair types. Mirelin products are exclusively formulated with natural ingredients, such as sea salt, white clay (kaolin), ground spouted grains, pumpkin oil cake, linseed oil cake, sesame oil cake, amaranth oil cake, and dried and powdered medicinal herbs (chamomile, peppermint, turmeric, and others). Due to not containing any preservatives, emulsifiers, colourants, fragrances, or other synthetic ingredients, Mirelin cosmetics are completely safe for your health and the environment. And what is also important, they are affordable! Try them out and see for yourself how great they are.